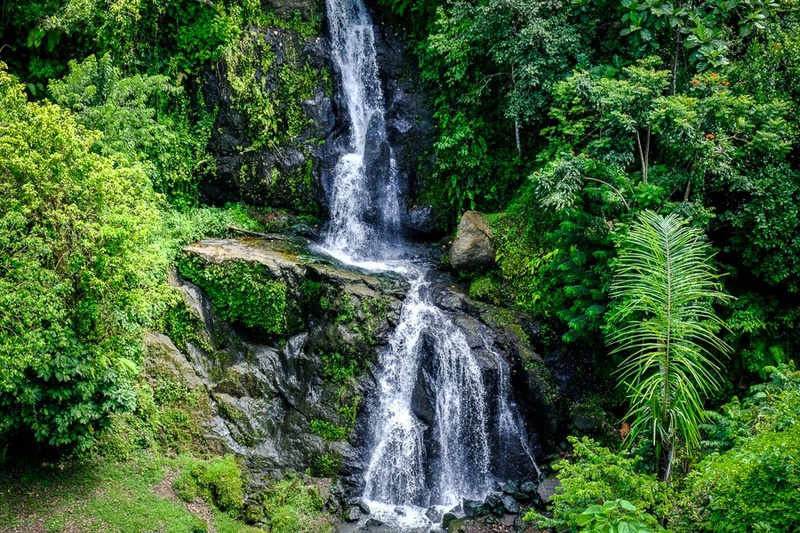 One of the easiest waterfalls to visit in Bali is probably the Layana waterfall, located just east of Ubud. This is a nice 2 step waterfall that you can see without any hiking or entrance fee. It’s actually sitting right next to a warung (small food shack) where you can buy food or drinks while hanging out in a hut above the falls. I expected the owners to charge me a fee for visiting the waterfall, but it’s actually free. I didn’t try the food at the warung, but I’m sure it’s good too. 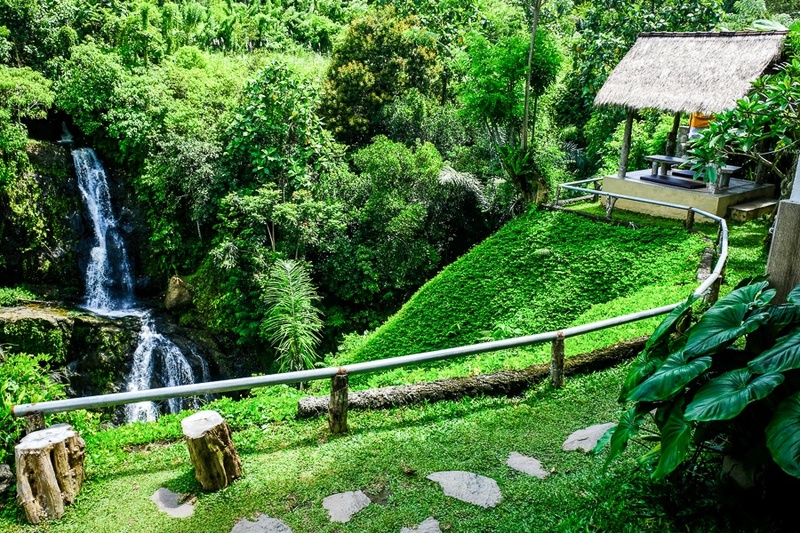 The waterfall can be seen directly behind Layana Warung, which is located just east of Ubud. From the restaurant parking, it’s just a 30 yard walk down to the waterfall. The track can be a bit muddy and slippery near the bottom, so do watch out for that. There is no fee for parking or visiting the waterfall. It’s free.